For the use of any computer keyboard. With its help you enter the required information, so "Claudia" is the part of computer system which often fails. Usually this is because paths that transmit a signal, are deteriorating. Do not rush to throw away non-working keyboard! It is possible to give a second life. Remove the plug from the keyboard connector of your computer. In any case, do not attempt to disassemble the keyboard is enabled, otherwise you risk to mess up your computer. If the keyboard is wireless then remove the battery or batteries. Remove from the slots all the rubber plugs that cover the head bolts. Please read the manual. It should be a location of all fixtures of the body. Also visit on the Internet forum devoted to computer technology. There you can find information on how to disassemble your model of keyboard. Will also be very useful to read tips and testimonials from those who have already done this procedure. Carefully Unscrew all the screws connecting both parts of the housing together. Find the location of all the plastic latches. Gently open them. Be very careful! If some kind of latch you miss, then when opening it breaks. Remove the keypad buttons. Usually they are of two types – separate (each button in a separate cell) and as a whole leaf ( all buttons are a single surface). In the first case, you will have to pull each button, and the second just to pull the canvas. If the buttons are separate, then don't forget before you start disassembly take a picture of the keyboard not to mix their places at build time. Under the buttons is a layer of translucent polyethylene, which are deposited on the wirings. Carefully remove this layer. In any case, do not pull it sharply! Otherwise you risk to break the structure of the material, and also break up a thin track. Clean the surface. If the keyboard was filled with liquid, the first step is to thoroughly clean the surface of the plate. To do this, use cotton pads soaked in a special solution, or a wet cloth. Locate damaged areas of the tracks. If the broken places can't visually find, use to test the tester. Need with maximum precision to find broken areas. All identified gaps carefully mark with red marker. Take special conductive glue and apply it on the place of tears, along with a bit of whole sections of track on each side. For application, use a very fine brush or a special tube. Let dry the glue. Then produce a reverse Assembly of the keyboard and check its functionality. Almost any drenched keyboard can be repaired, by restoring the damaged tracks conductive adhesive. How is the prevention? Only after the final drying, it is possible to assess the extent of damage current-carrying paths. If the track went dark and tears, you can try to restore the special conductive varnish. If the integrity of the track, then, of course, the motion of electrons is interrupted, and the keyboard will be broken. The integrity of the tracks can be broken for various reasons: - the crack was formed from inept Then prepare the disassembly of the material, which corresponds to the lowest resistance, the working mixture for the recovery Board tracks the keyboard or use the remaining mixture, if there is a sufficient number. While working on computer keyboard is exposed to the largest loads, which can gradually cause it to malfunction. 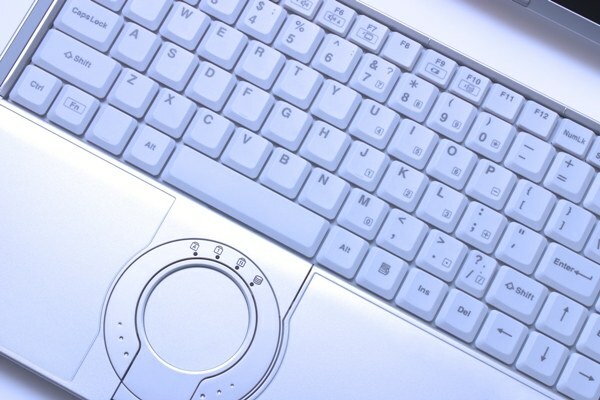 If the regular PC keyboard is easy to replace the new ones, laptop repairs becomes a problem. The vast majority of cases, the keyboard goes down when spilling her fluids or in contact with debris under the keys. 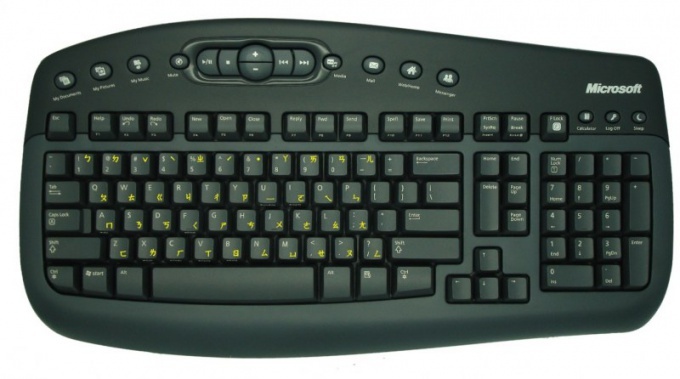 Repair normal keyboard is advantageously carried out only if it is still quite new. Typically, such a keyboard can be easily disassembled, and any problems with it not occur. Much more difficult is the case with laptops, this option will be considered. If you spilled something on the keyboard, immediately turn off the laptop by power button, unplug from the mains and remove the battery. The best option is to immediately take the computer to a service center, since self-repair is a risk completely ruin the keyboard. But if you are confident in your abilities, you should immediately take them down. Dismantling the vast majority of modern keyboards begins with the removal keys. Before starting, don't forget to take a picture of the keyboard, to the Assembly to properly install the keys, or redraw their location. Then try to remove one of the rarely used keys, using a suitable tool such as an awl or hook. The keys are attached with special clips, so you have to understand which side should pry off the key and where to pull, it pulls. Once you get to remove one key, in the same way and remove the rest. Under the keys are rubber washers. Carefully remove them: those that are filled, place in warm water with added detergent for washing dishes. To the same place and filled the keys. After removal keys remove the mounts on which they were installed (elevators). Gently rock the one Elevator in hand, let's see how it is attached. Remove it, then remove the rest. Filled elevators also send in a container of water. Now you can easily take the rest of the keyboard. Your task – to get to the film carrying conductive tracks. Usually films three: two paths and one between them, providing the necessary clearance and prevent the circuit conductors. Contact is only possible in locations of holes in the film. Evaluate the condition of films. If liquid was spilled a little and didn't hurt them, dry them, and assemble the keyboard. If moisture got into the package of films, they have to separate and wash. Handle the film very carefully! Maybe separation will have problems, as they can be glued into a single package. In this case, you will need a Hairdryer and a scalpel. Hairdryer heat bonding film adhesive and separate them with a scalpel. Work carefully, as the conductors are very thin, they are easy to break. Disconnecting film, wash them in cold water, nor to any case do not RUB the track you just erase. Dry film during the day, then check the tester for faulty paths. If there are breakages, restore them conductive glue "Contactor", it can be purchased in the shop. Let it dry for a couple of hours, again check the paths. Then reassemble the keyboard.